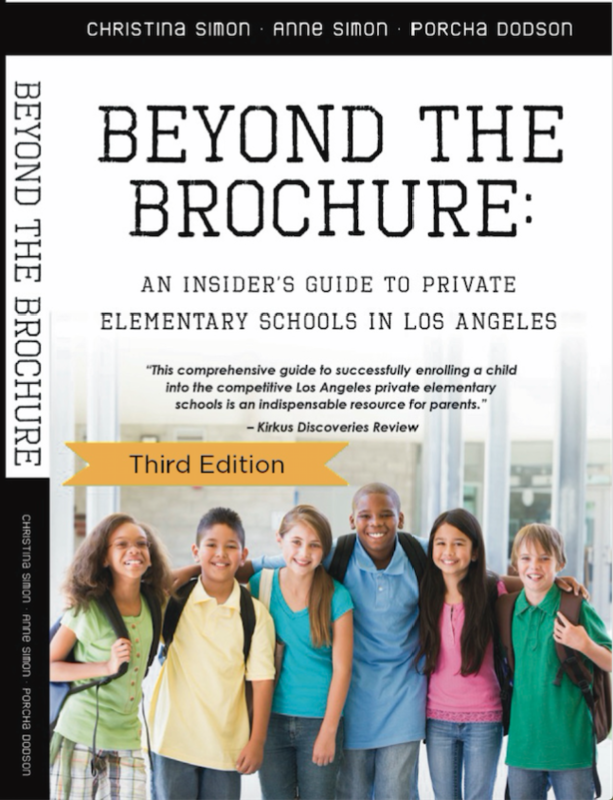 Get your copy of Beyond The Brochure: An Insider’s Guide To Private Elementary Schools In Los Angeles (September, 2017). You can buy the book on Amazon! The book has been featured in The Daily Beast, The Hollywood Reporter, Town and Country, Los Angeles Magazine and on KPCC 89.3, The BBC and numerous other publications. Every year around this time, we’re thrilled to welcome new readers to our blog. And, of course, some of you stick around even after applying to schools. We’ve truly appreciated your support since 2010, when we first started Beyond The Brochure. 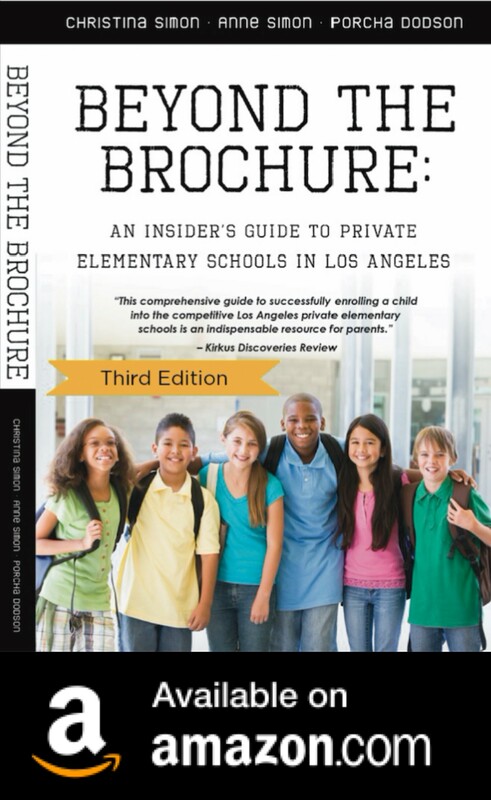 We receive your emails and we understand exactly what it’s like to navigate the competitive L.A. private school admissions process. We answer as many questions as possible on our Facebook Page and by email. Your support, encouragement and feedback means the world to us.